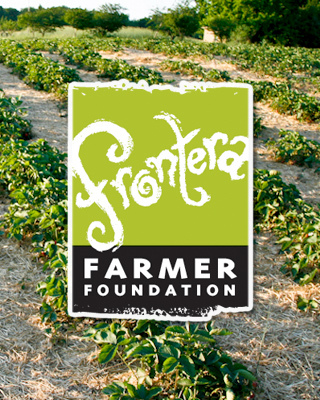 Mexican flavors, height-of-summer produce: Nichols Farm potato salad with Bayless Garden greens. Poc Chuc Torta: wood-grilled pork with Iron Creek tomato, avocado and Chicago-grown habanero. 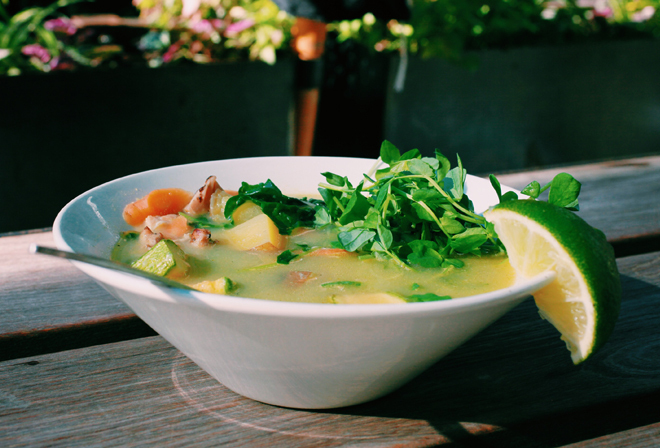 Calabacitas Caldo: creamy squash soup with grilled chicken and beautiful summer vegetables. Iced Mint Chocolate: House-made chocolate, 2% milk, and Bayless Garden mint. 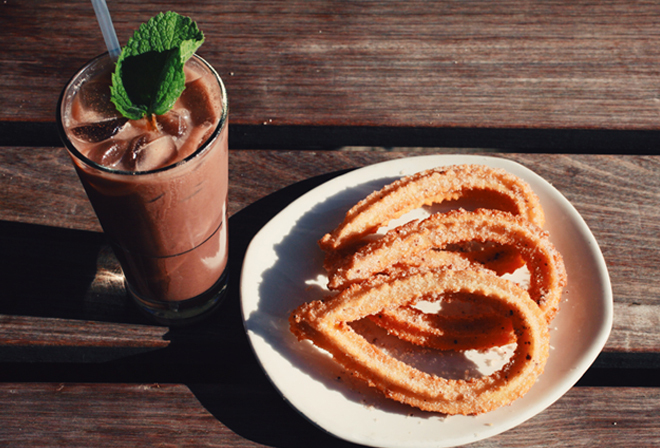 Summer is a beautiful, comfortable season in Chicago: at Xoco, summer is delicious! This month the chefs have been inspired by the height-of-summer produce coming in from local farms and what is growing in our gardens at home. The Caldo de Calabacitas is a remarkably light creamy squash soup with grilled Gunthorp chicken. When one of our servers, Lupita, tasted it for the first time, she said it reminded her of a soup her mother Juana makes. Nichols Farm carrots and rainbow chard shine in this dish. Speaking of family connections, I am beginning to think Chef Alonso is taking notes from my Aunt Judy. For this month’s menu he crafted a Mexican take on one of my personal all-time favorites: potato salad! Nichols Farm new potatoes, hard-boiled eggs and garlic scapes are tossed in lime zest, cilantro crema, and apple vinaigrette. 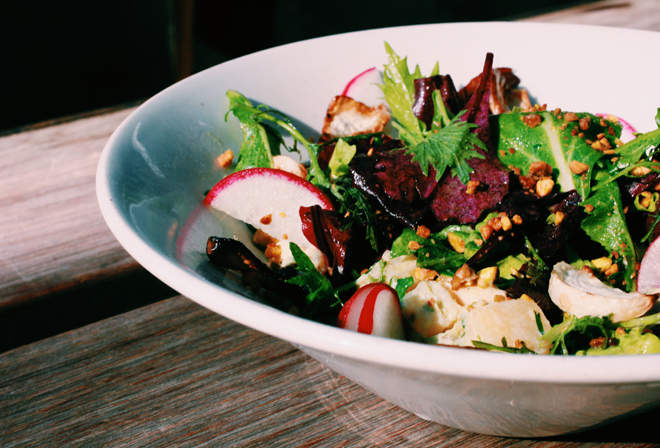 Xoco’s potato salad is complimented by greens and radishes from the Bayless’ garden. Wood-oven roasted turnips and pistachios add complexity and crunch. 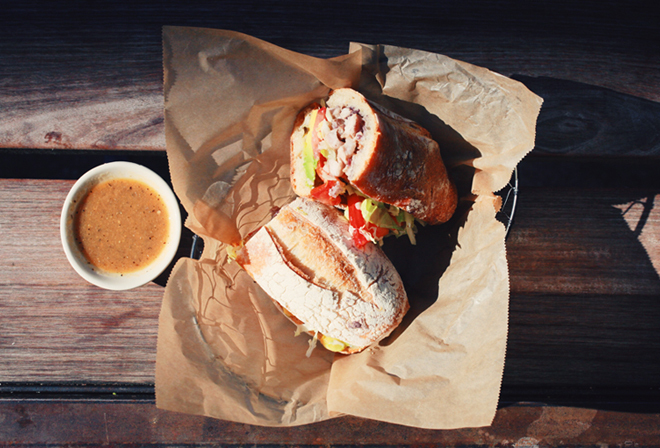 The big news is that Xoco’s classic torta of the summer is back! Poc Chuc (“pork charcoal” in Mayan) is Gunthorp pork, marinated in sour orange, and grilled over hard wood. Height-of-summer tomatoes from Iron Creek farm, as well as Napa cabbage, black beans and cilantro crema, are layered on the bolillo. This Yucatecan dish is served with a very spicy salsa featuring habanero chiles grown at City Farm- Chicago’s own backyard. With habanero salsa, and summer itself, be careful and have fun!